Hi Brandon - OK, well I deserve that negative review - that's totally on me and I am on it. I will get a fix out to you. I will send you tracking by email rather than here on the forum. For anyone reading along, we (I) drop the ball occasionally and deserve to get called out when it happens. Thankfully I think in these 130 pages we've only screwed up an handful of times. 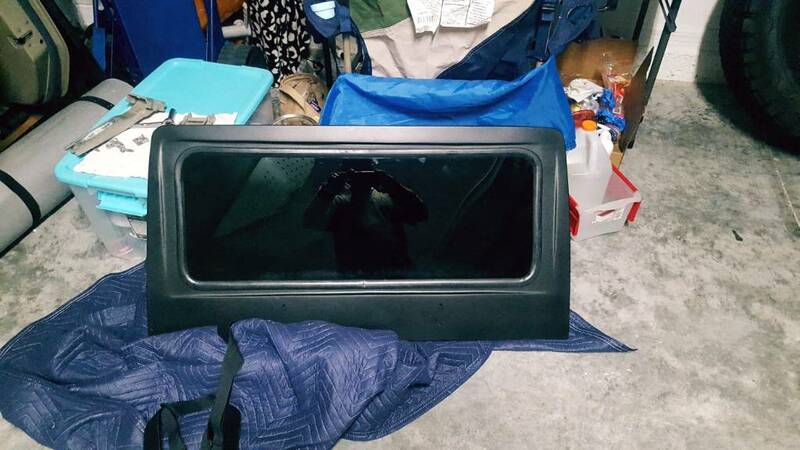 For current owners or the curious, here's a photo of the issue that Brandon mentioned. 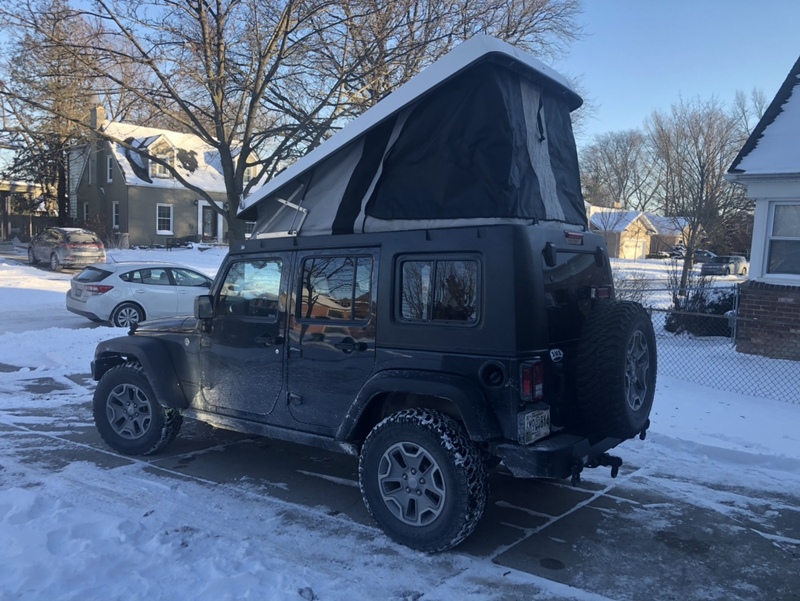 We've caught a couple instances of this during assembly (in the 10 years we've been building campers) and have resewn a couple in the shop, but as Brandon is in Minnesota dropping by isn't convenient. 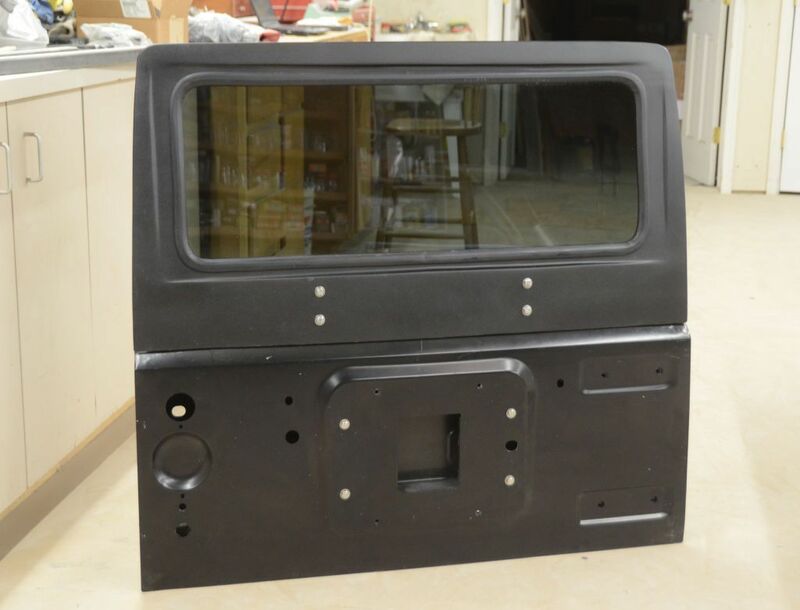 Brandon noted his unit took 10 - 12 months to ship, this was due to the custom wide-open layout of that camper which take a lot of one-off fabrication (unrelated to the issue referenced above.) One thing we decided is that is due to the mix of current models, we're simplifying the process and are declining custom work requests in 2019. I appreciate you coming on here and indicating you will make it right. I will be sure to update all when it happens. Here's the finished barn door mounted to a test tailgate in my workshop. 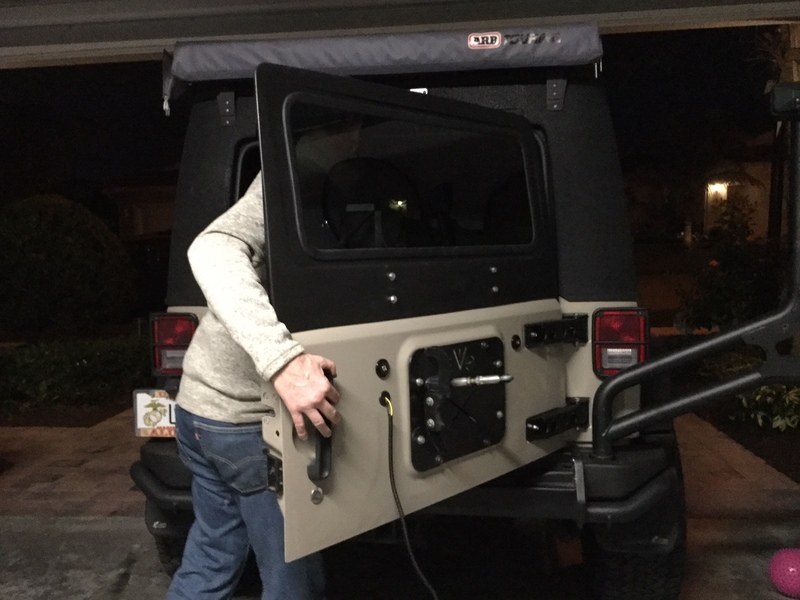 I'm making a trip to Florida next week so Donny and I will install the barn door on his Jeep then. Photos of the installed barn door when it happens. I love the barn door concept! 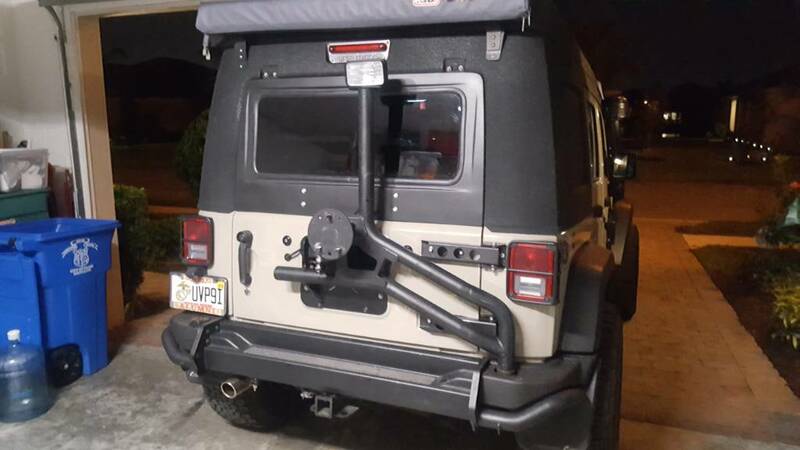 Not only do I have an UrsaMinor J30 on my JKU, but I mounted a Terraflex Alta Rack on the back. God help me if I ever let the door shut while the window is up! It will take out the window strut for sure and most likely destroy the window too. I'm always worrying about it when I have the tailgate open. 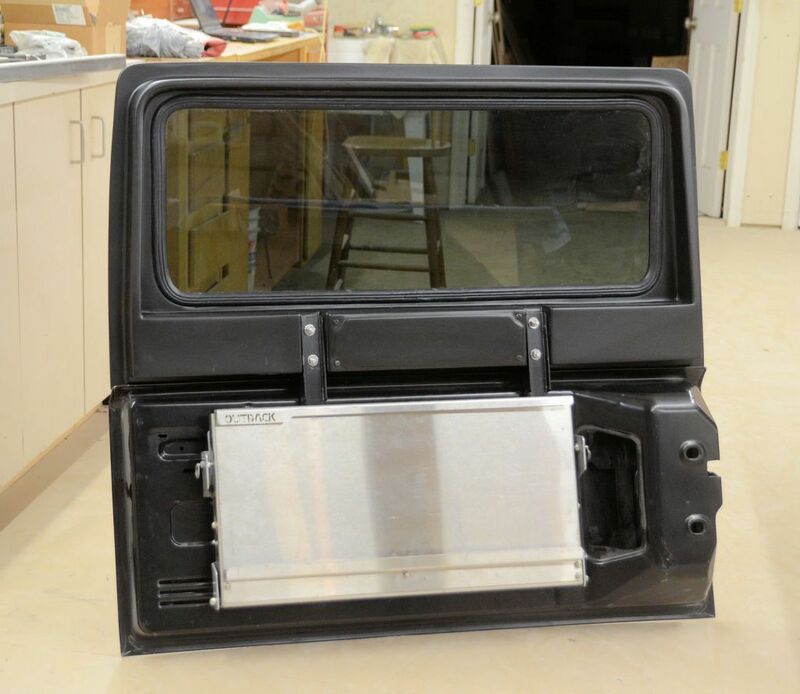 I've been waiting for a few years for some company to buy this door modification and bring it into production. 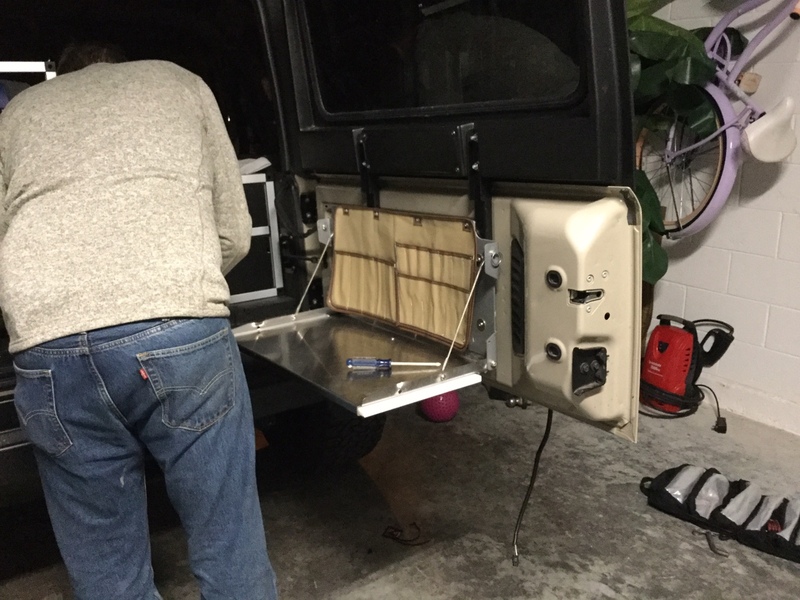 It may sound like I'm dumb, but I admit I never thought of that - I had a barn door long before I had a rack on the tailgate so I never had that problem. 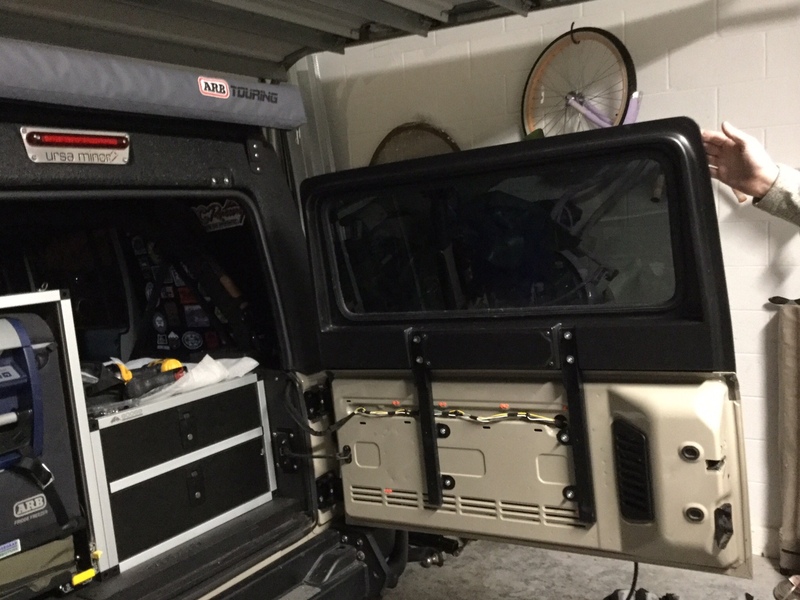 If you look closely at the SEMA photo I posted yesterday you'll see my Jeep has a tailgate rack - it's a MORryde Overland Rack. 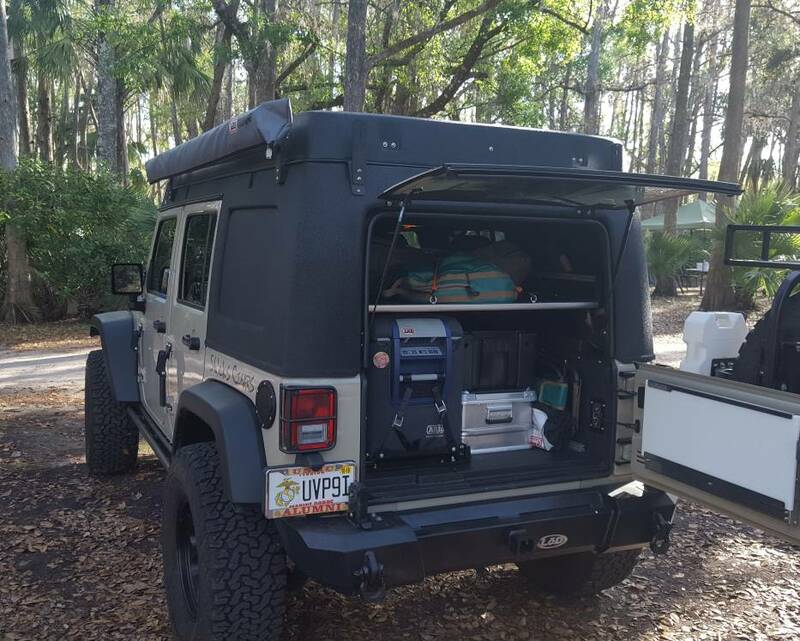 With racks like the Alta and the Overland Rack plus the barn door the cargo area can be accessed with one operation - the tailgate/barn door and tailgate-mounted rack all open together. And no worrying about the liftgate glass being up when the gate is closed. Any idea on a price point for the barn door? I have not read your thread yet, sorry. Still trying to get through this Ursa thread. I bought the one Rusty mentioned above. I drove both ways through a blizzard a few days ago and camped in it at 15 degrees on the way home. If a company or person is interested in bringing the barn door to market I'll be happy to talk with them about it. 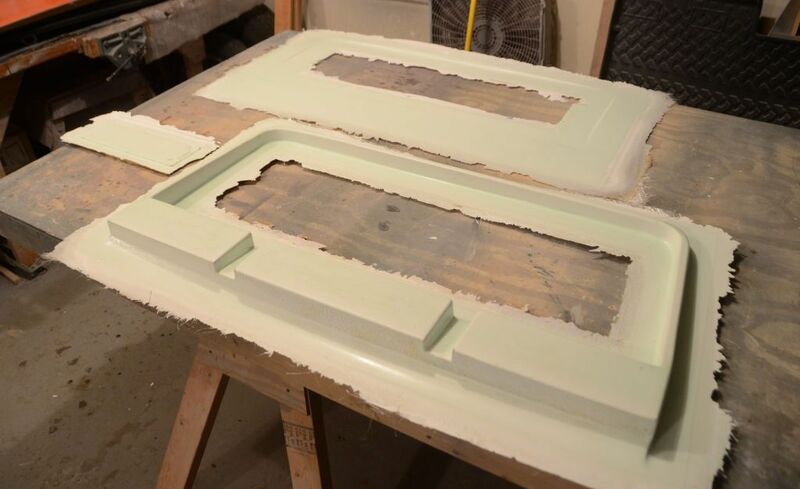 It's actually a pretty simple product - inner and outer shells in fiberglass (shown below just out of the mold and before trimming and bonding together), a window (can be an RV-style fixed window, which is inexpensive even in small quantities ) and two "stakes" to mount it to the tailgate. Making one for Donny in my home workshop wasn't a big deal. I know what it costs me to make one, but I won't post that because that wouldn't take into account the cost structure of a company/person that might bring it to market. The parts are listed above (add a few bolts to the list to be complete), but what's not listed is company labor, overhead, profit margin, etc. so I can't say what it would retail for. 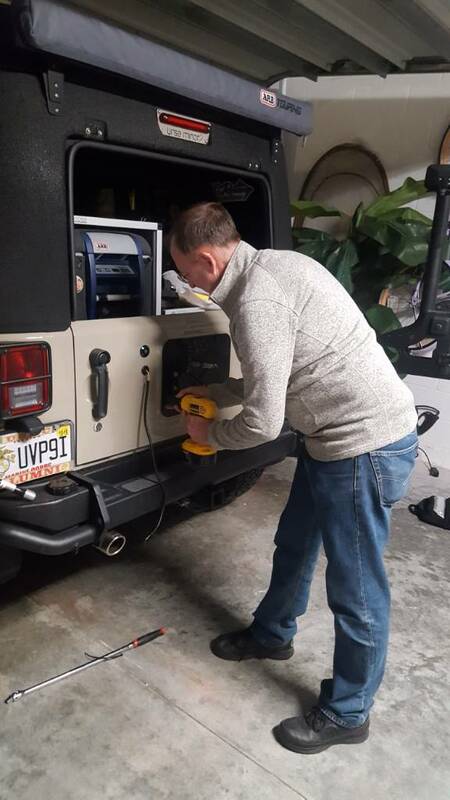 It is funny you say that as with the setup that Jeff showed of my Jeep above that was one of the first things I did was check to see if I could still shut the tailgate and tire carrier wiht the trail rack on top and have the glass on the J30 still open. It could albeit barely. 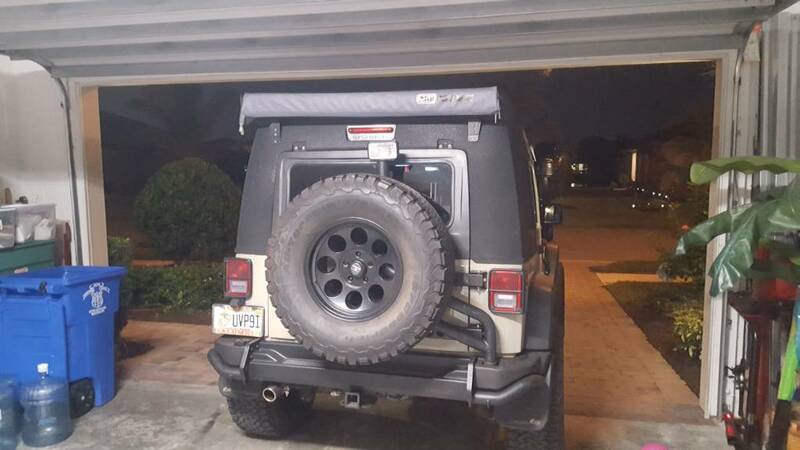 It does not go as high as my stock hard top rear window did. 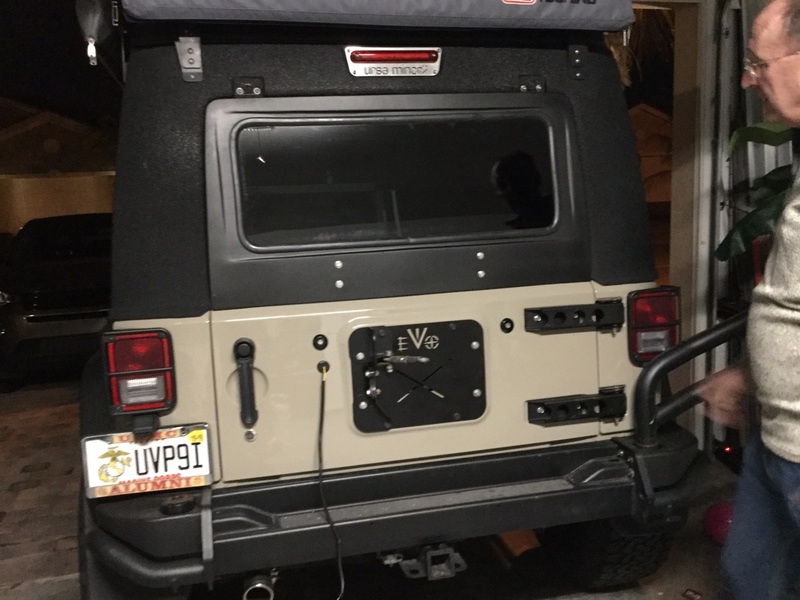 Now that I have switched to an AEV bumper/carrier the IPF light on top of the carrier hits the window when it is in any position but all the way down. 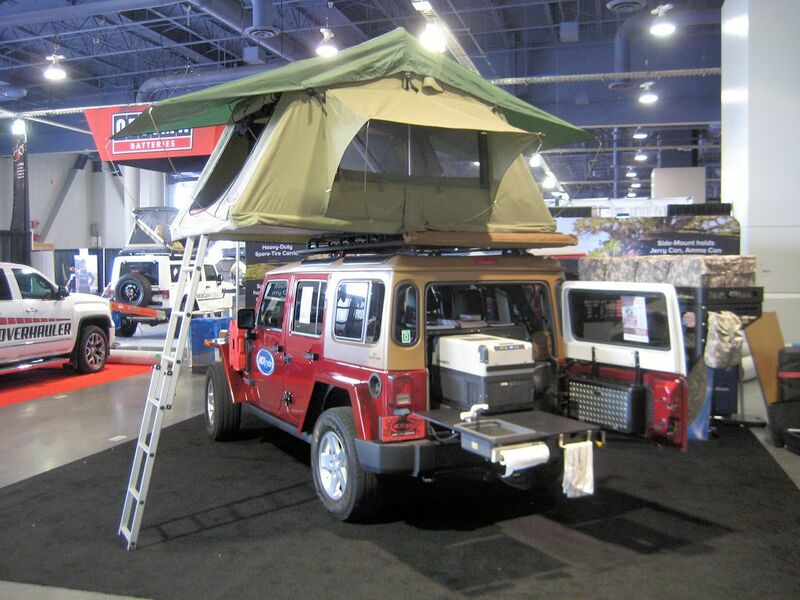 I am really looking forward to having a 1 step open up tail gate and it is all there. 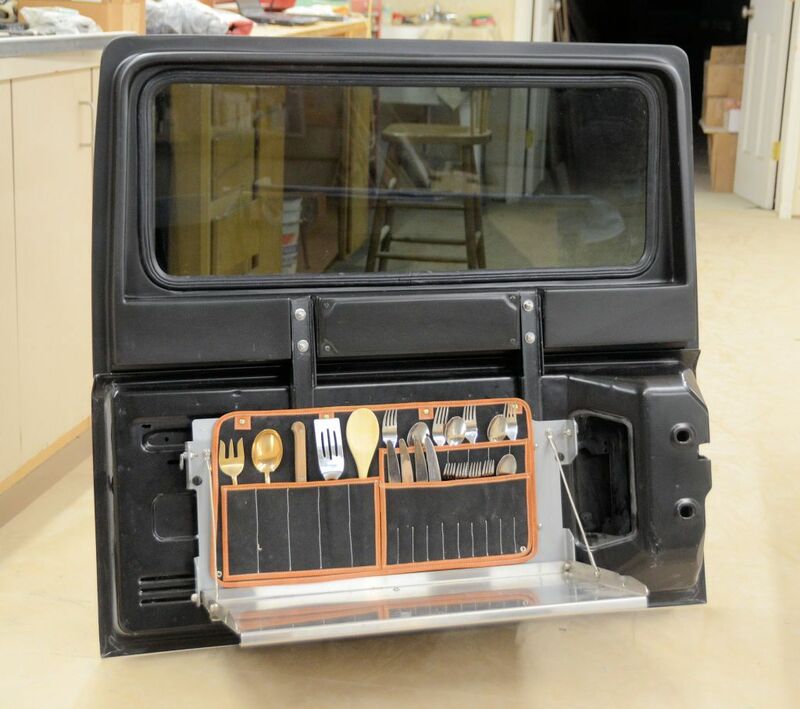 I also ordered the heavy duty tailgate hinge set that Jeff designed to complement all this. Looks pretty sweet up there! Glad I remembered seeing that post and that you were able to connect on it. A blizzards not a bad price to pay for skipping the 8-10 week lead time and saving a few $$. My thoughts exactly. I got it wired and fully sorted the day I got home. I've very impressed with the lights! They are bright and everywhere you need them. Wow, you found one on the east coast? It is official. The first J30 with a barn door. You will have to click the link for video I’ll post in a minute but here are some pics. What do you all think. Jeff will get better pics tomorrow in the daytime.